posters meta-morphos.org autographed by papiosaur. To participate to the raffle, simply is to be a member of the WArMUp association for the year 2016 or to make a donation of 10 euros to the association and send a email to papiosaur2 at hotmail.fr to validate your participation to the raffle. The members of the association are automatically registered. Registrations must be received before Saturday, May 21 at 12:00, no further entries will be accepted beyond this term. (*) Depending on the number of participants and the amount harvested, there will be more surprises. If people want to sponsorised this raffle by adding new prizes, they can contact me to above address. The prize draw will take place at the NASS 2016, a gathering of enthusiasts around the Amiga classic and NG, also open to atari, amstrad and all vintage machines. Note that there will be a prize for each participant. The people not present at the draw will receive their prize by mail. Is our membership fee automatically renewed each year by PayPal? I joined in 2013 IIRC. @Intuition: Hi, no, the membership fee is not renewed automatically each year by PayPal. I prefer each member have the choice to pay his membership fee or not. 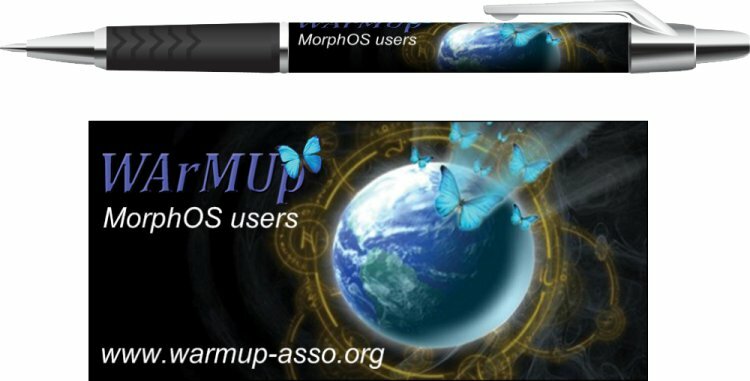 Good idea to promote the association and the MorphOS!